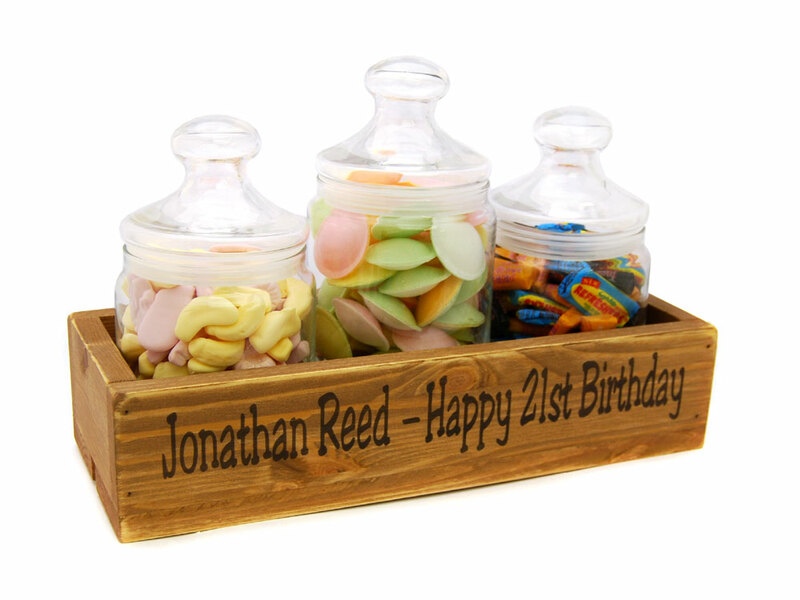 The Mini Candy Crate is our latest addition to our personalised gifts. A beautiful shabby chic vintage rustic box with classic glass sweet jars. 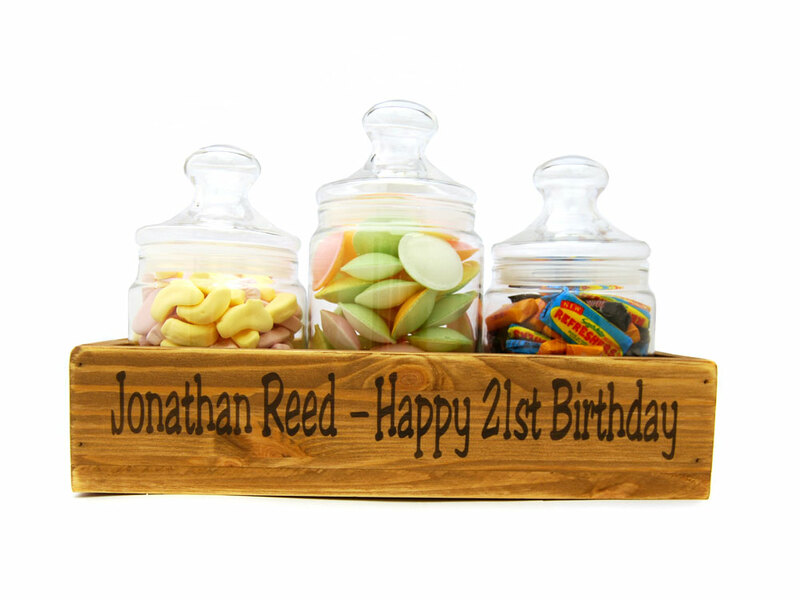 Contains 3 jars of delicious sweets. Personalise the box with your own message of up to 30 Characters on one line. Black Jacks: Glucose Syrup, Sugar, Palm Oil, Natural Colours (Vegetable Carbon, Paprika Extract, Anthocyanins), Acids (Citric Acid), Beef Gelatine, Aniseed Oil, Emulsifier (Soya Lecithins), Flavourings. Fruit Salads: Glucose Syrup, Sugar, Palm Oil, Citric Acid, Beef Gelatine, Emulsifier (Soya Lecithin), Natural Colours (Paprika Extract, Anthocyanins), Flavourings. Refresher Chews: Glucose Syrup, Sugar, Vegetable Oils (Palm, Palm Kernel), Acidity Regulator (Citric Acid), Gelling Agent (Gelatine), Stearic Acid, Modified Starch, Emulsifier (Glycerol Mono Stearate), Anti-Caking Agent (Magnesium Carbonate), Magnesium Stearate, Colours (Lutein).